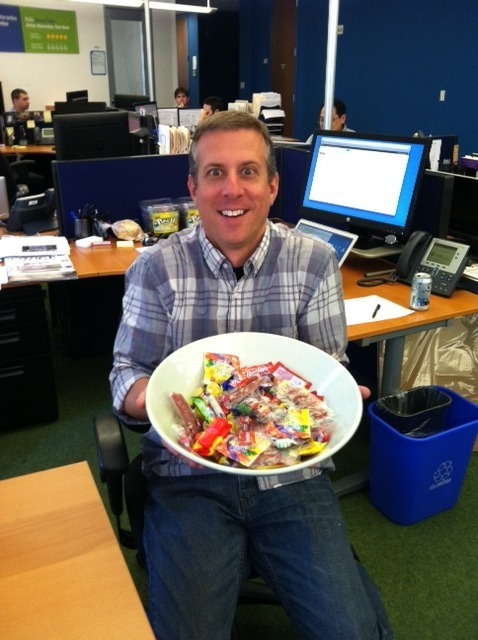 This is your Official Guide to the Candy Bowls around the office. Get ready for your sugar high! This is Jason. 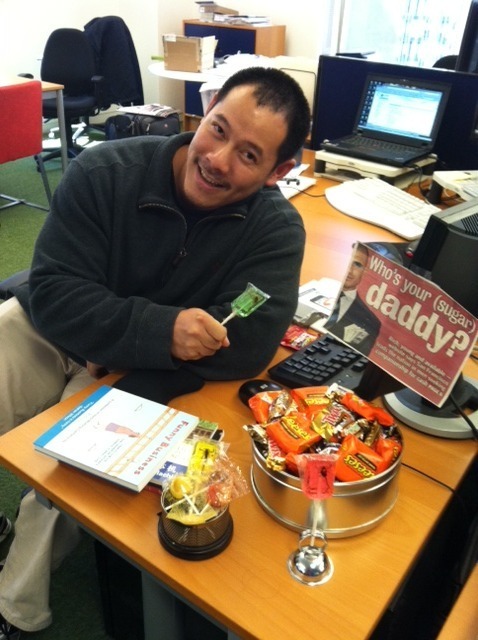 He’s got the hard candy and sour candy. Ever since the Creative team moved into their new room, his candy bowl has been feeling lonely, so go in and say hey and pick up some Jolly Ranchers! 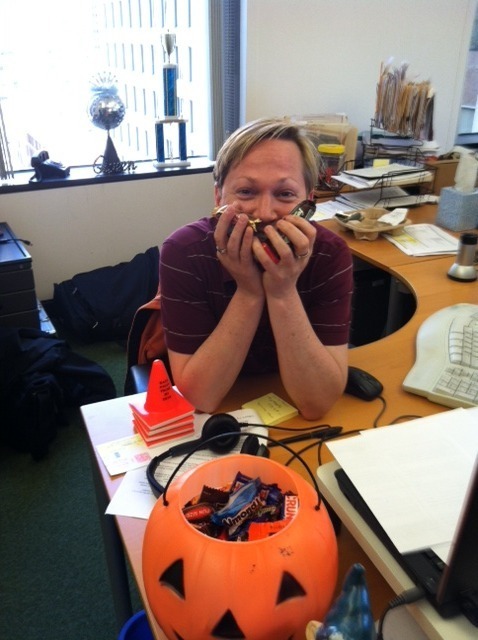 Kord’s got a wide variety of chocolate over in Customer Care/Ops, but he keeps it kind of in a corner. Keep a lookout for the big pumpkin bowl and do a sneak-by for some serious candy action. Pace in Marketing has an awesome selection (and my personal favorite: lots of Reese’s peanut butter cups), but people are a little nervous by the scorpion suckers you have to dodge to get to the good stuff. The real question is: Who’s going to eat those bug lollypops?! 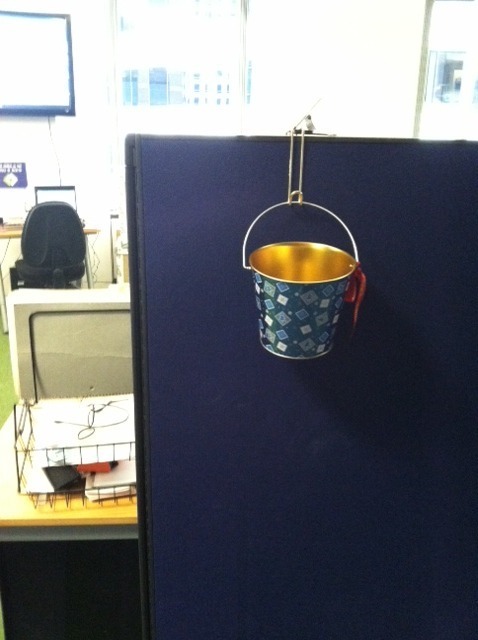 Last but not least is the lone candy bucket near the kitchen. Last time I remember seeing candy in there was sometime around last Christmas. Wonder who’s going to be nice enough to refill that?